Alice in Wonderland DS. 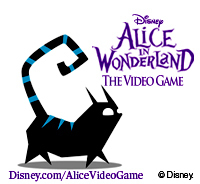 I know this is sort of old, but it was never posted when it was released, so here's the cover art and a few 'E-mail signatures' for the Alice in Wonderland game for the DS out on March 2nd (Along with the WII and PC versions of the game as well.. Images in the Alice in Wonderland (2010) club tagged: alice in wonderland game ds.